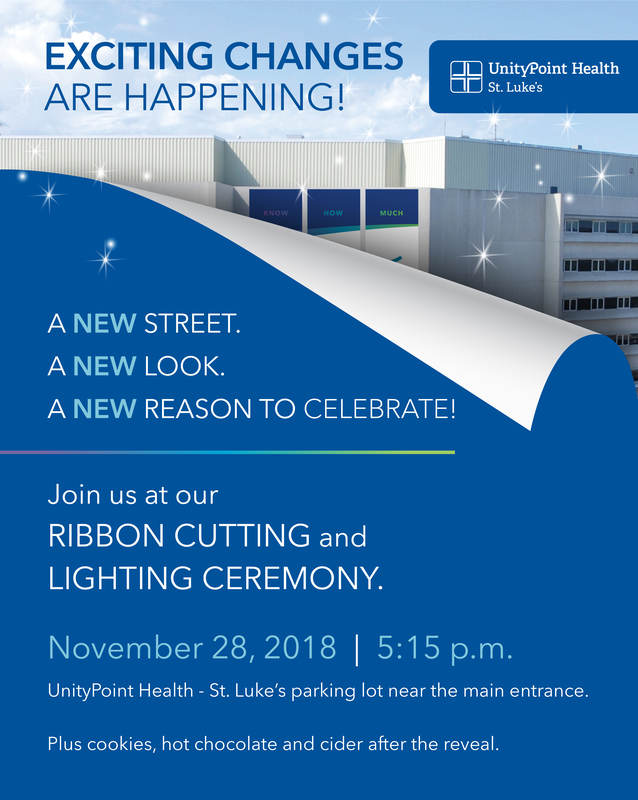 UnityPoint Health - St. Luke's and the City of Sioux City invite you to attend their upcoming Ribbon Cutting and Lighting Ceremony to celebrate the completion of the Pierce Street renovation project. 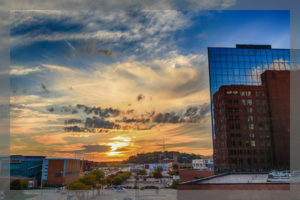 We will gather on Pierce Street for comments with the official ribbon cutting at 5:15 PM followed by cookies, cocoa and cider. With the street re-routed, the parking lot is closer and more accessible as patients don't have to cross the street to enter. Several other patient friendly additions were added to make it an entirely different entrance. We hope you can join us and congratulate UnityPoint on their improvements.